The Chicago Bulls played the entire 2012-13 season without an ACL-rehabbing Derrick Rose, scrapped their way to 45 wins, eliminated the Nets in 6 games in the playoffs' first round, then finally succumbed to the Heat in the second round after Luol Deng almost contracted meningitis and Kirk Hinrich ruptured a calf muscle, after which the Heat and Pacers battled through 7 games in the Eastern Conference finals. 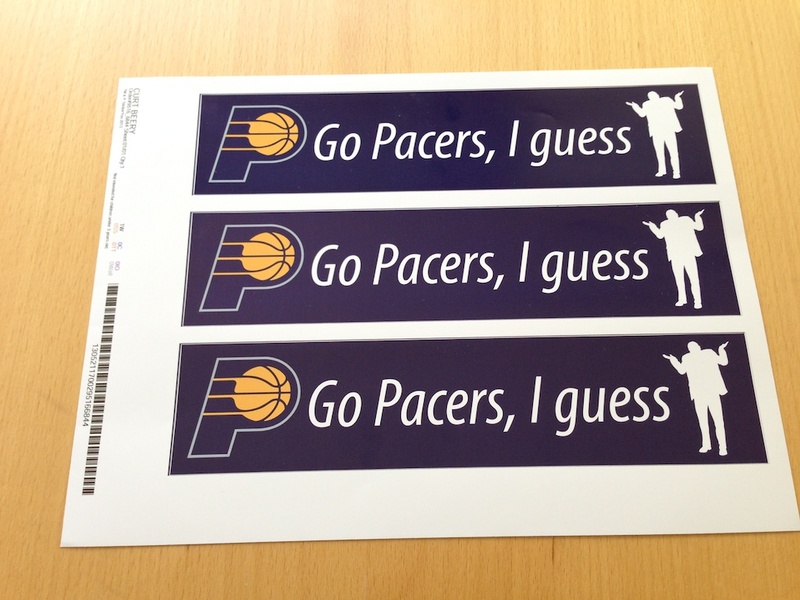 Those events led to a Facebook post offering begrudging (temporary) support for the Pacers and subsequent comments coining an unofficial team slogan and suggesting the need for a commemorative bumper sticker. 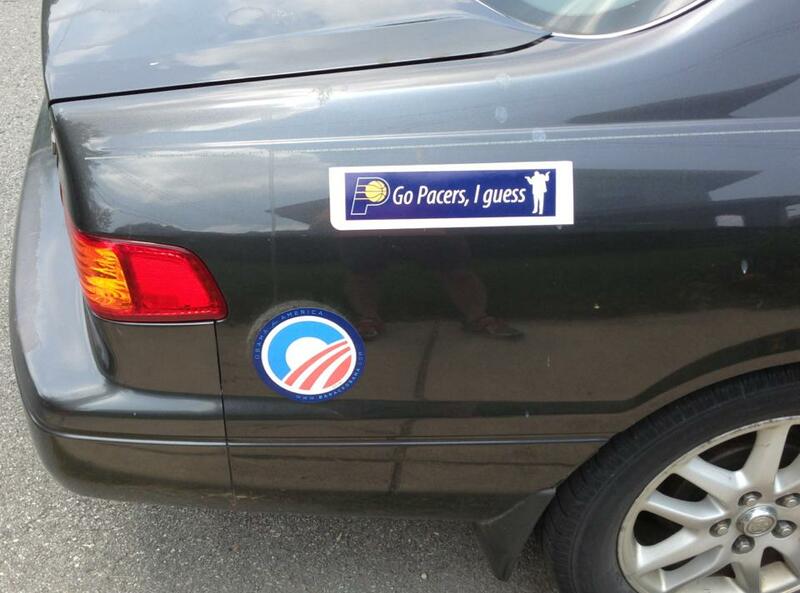 Chris Creamer's Sportslogos.net provided the Pacer's logo. 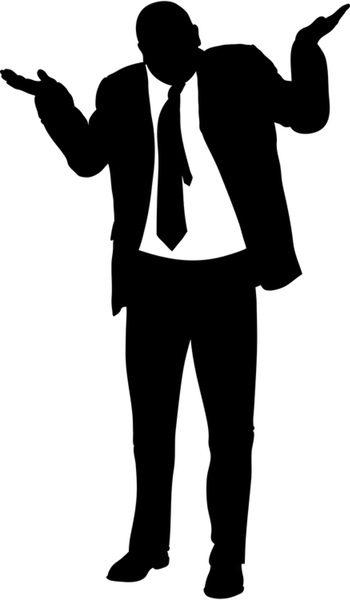 An iStockPhoto search found a vector image of a guy shrugging. ...who affixed one of the stickers to his (or someone's) car.